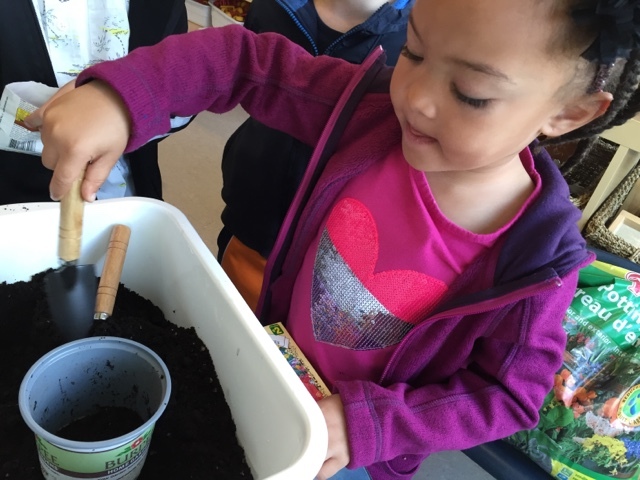 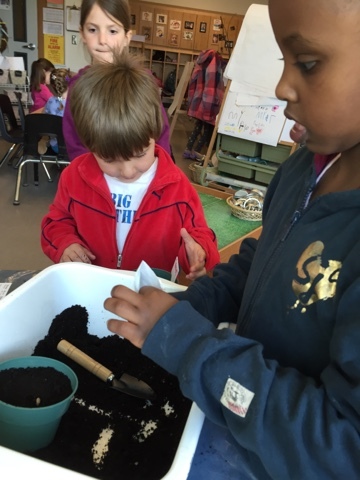 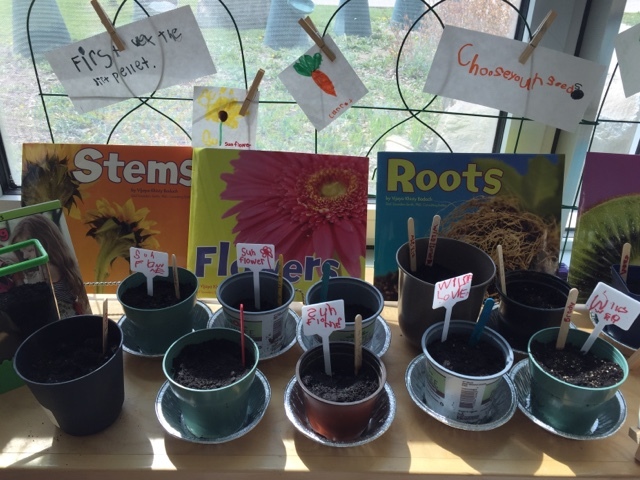 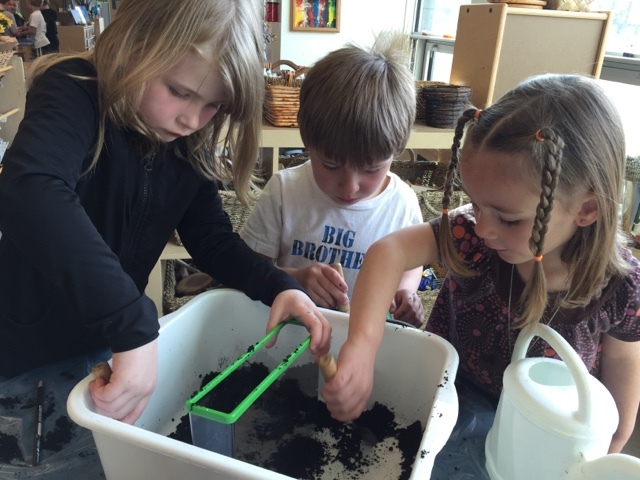 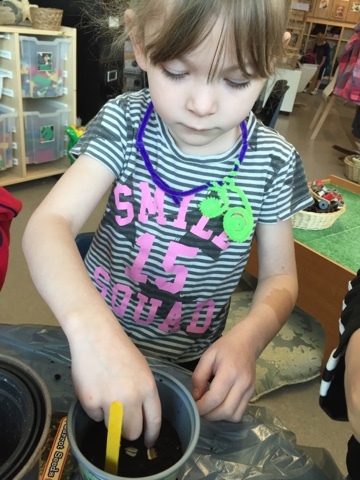 Our children were so excited to plant their own seeds today. 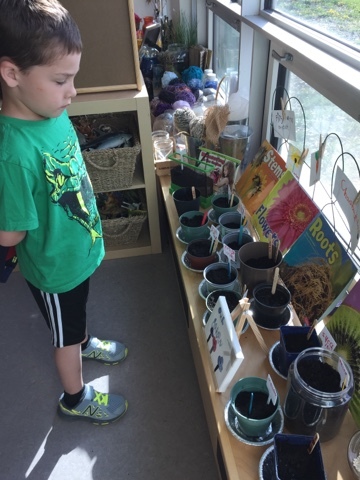 Thank you to those families who sent in donations. 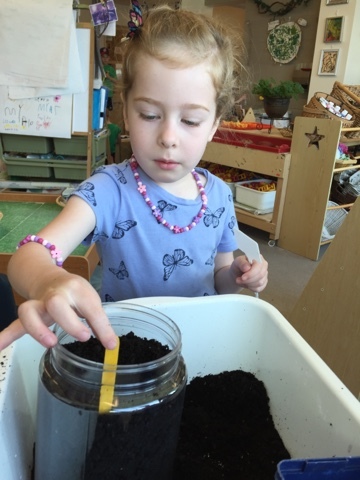 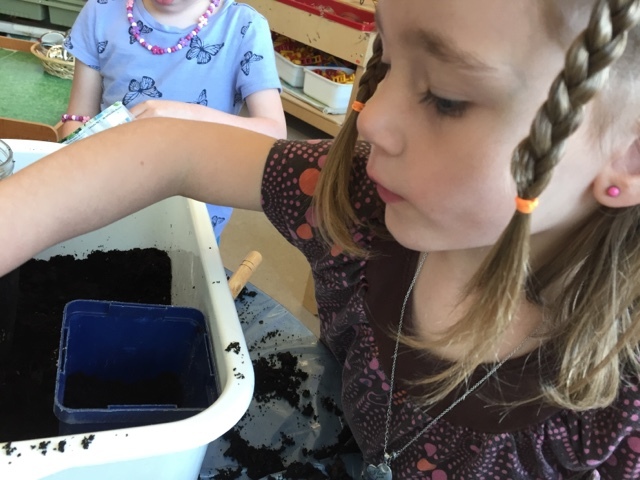 Children took total responsibility for this experience today - filling their pots with dirt, choosing their own seeds, planting the seeds, writing the name of their seeds on a stick and watering the seeds. 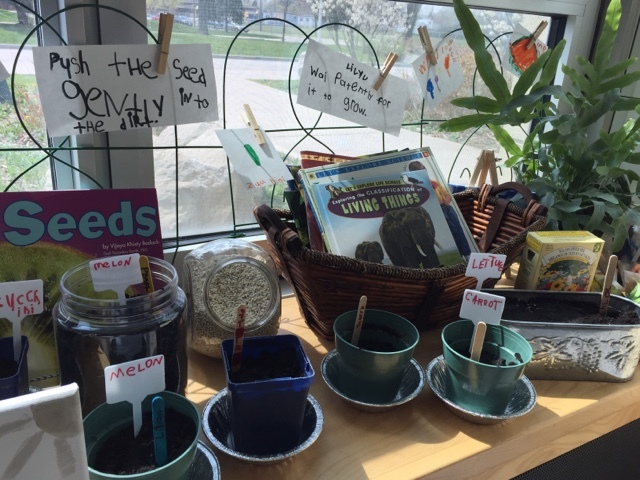 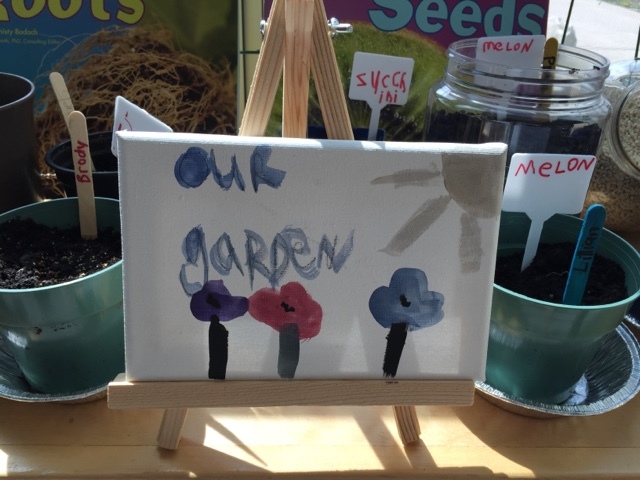 We included art and literacy in our planting area to help showcase what we planted and share our ideas with others.